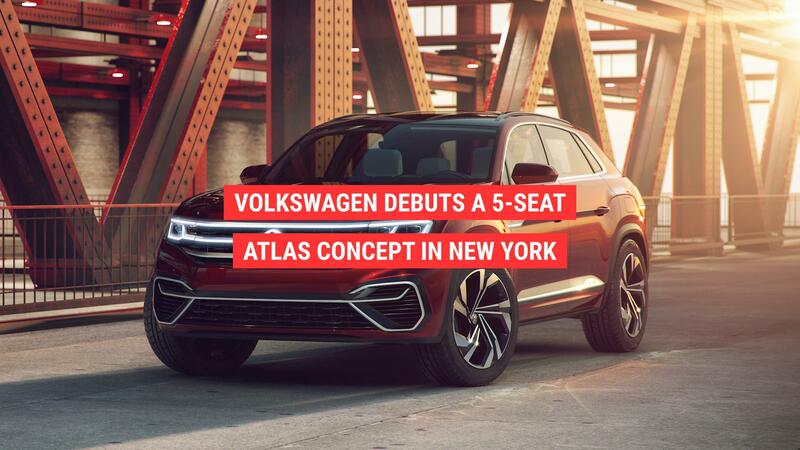 NEW YORK — The rumor was true. 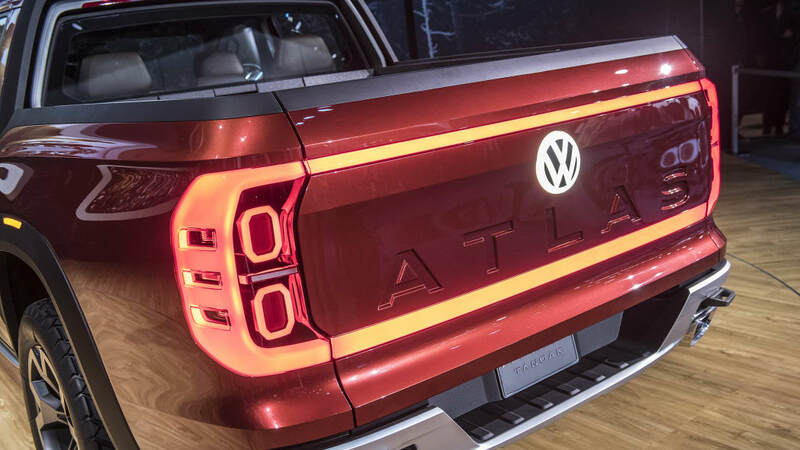 Volkswagen did indeed create a pickup truck based on the Atlas for this year's New York Auto Show. 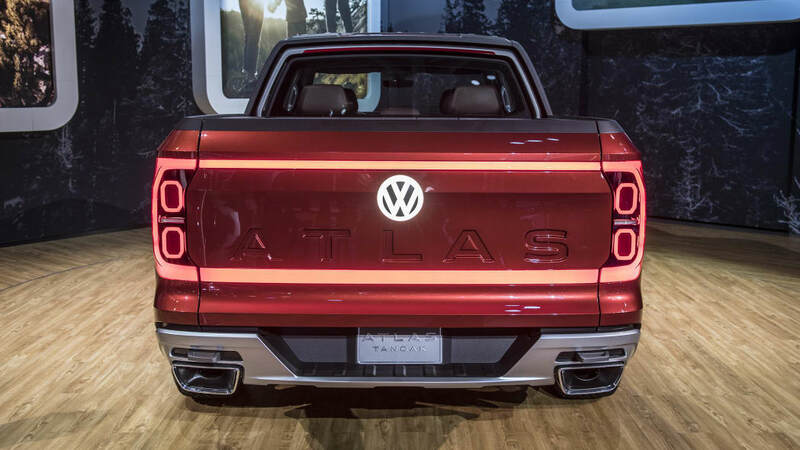 In keeping with Volkswagen tradition, it even has a name that looks weird and isn't straightforward to say "Tanoak." 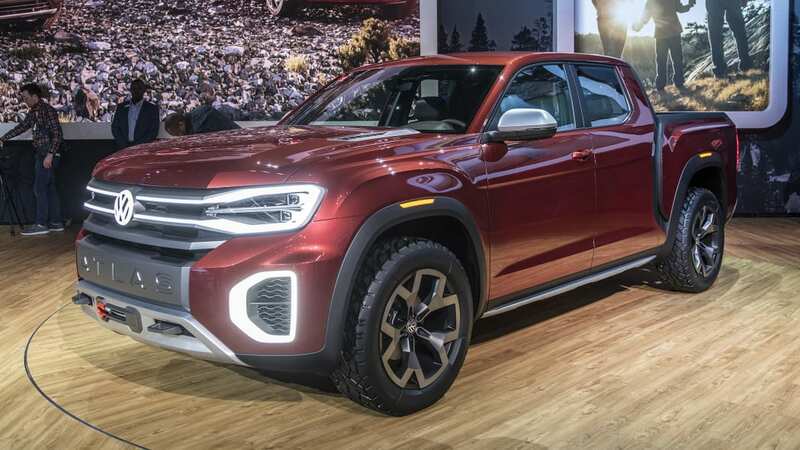 We'd say that's weirder than Tiguan, but not quite to Touareg levels. 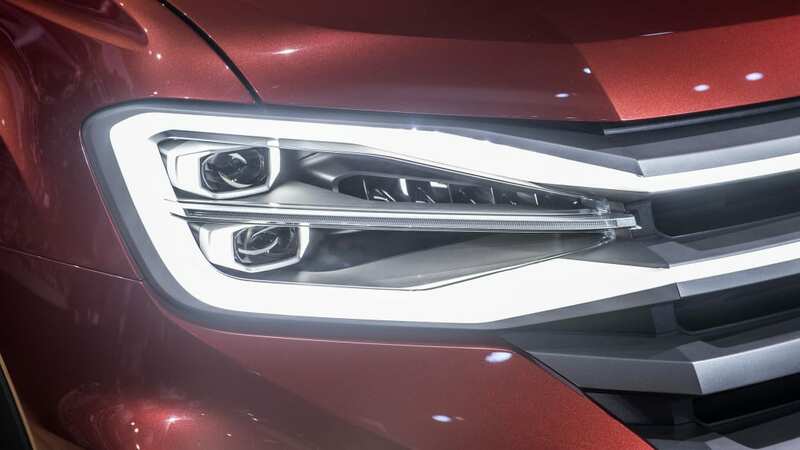 The design is less weird. 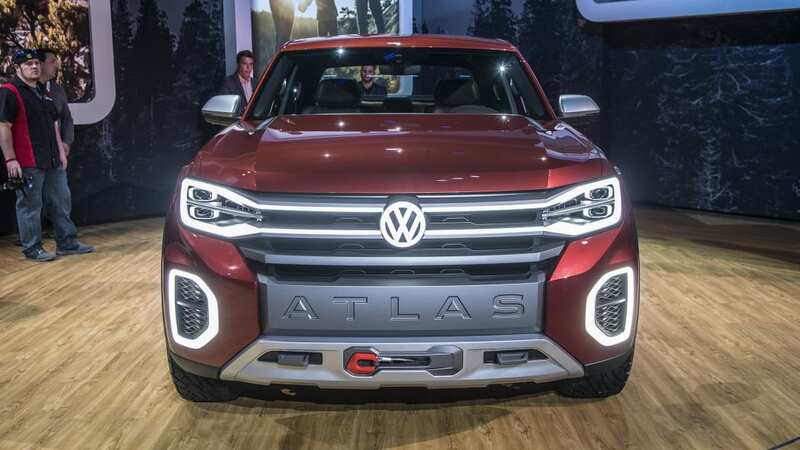 It's basically a normal Atlas crossover SUV up to the B-pillar. 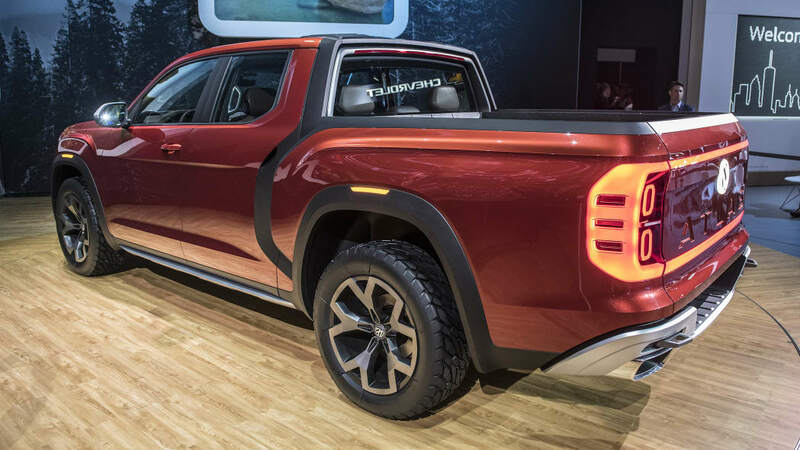 Volkswagen then lengthened the MQB platform to accommodate both the rear doors and a bed that's a bit over 5 feet long. 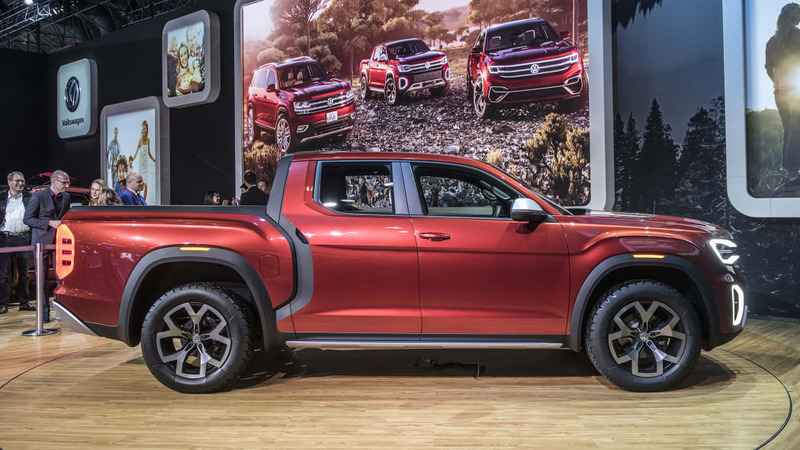 Basically, VW borrowed from Honda's Ridgeline playbook. 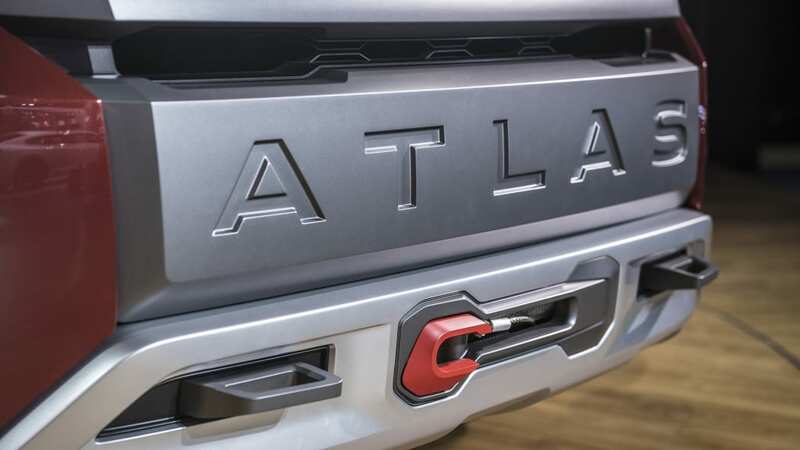 In total, the Atlas Tanoak is nearly 16 inches longer than a normal Atlas. 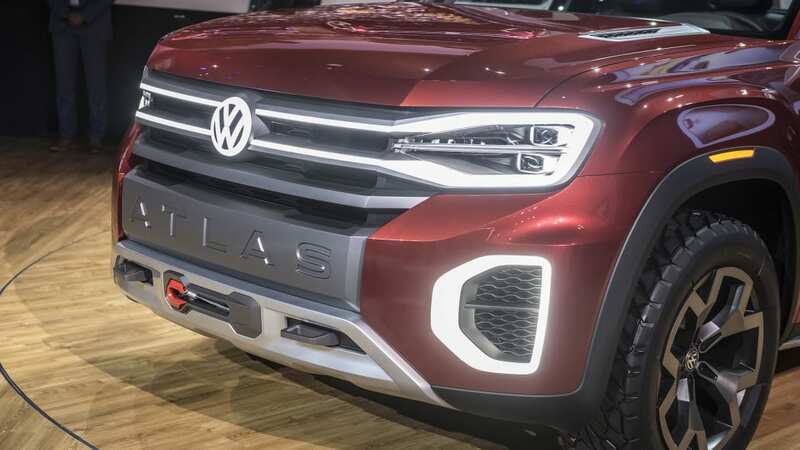 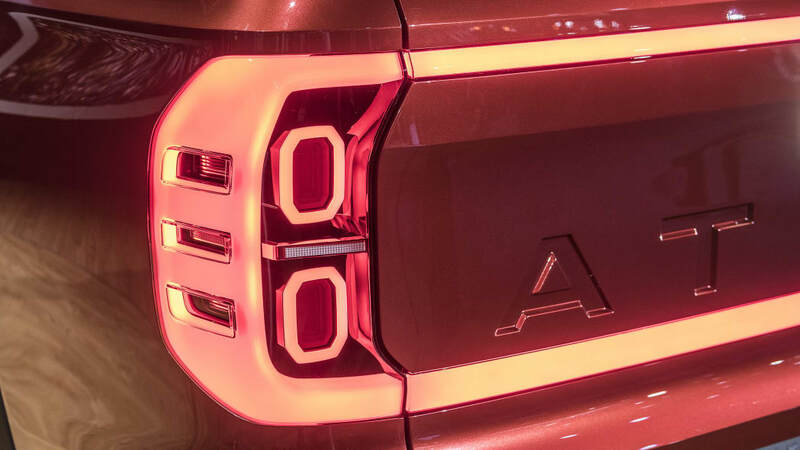 VW did make some tweaks to the styling up front, including the new grille with big embossed "ATLAS" name below, new lights, taller hood, and some off-road equipment. 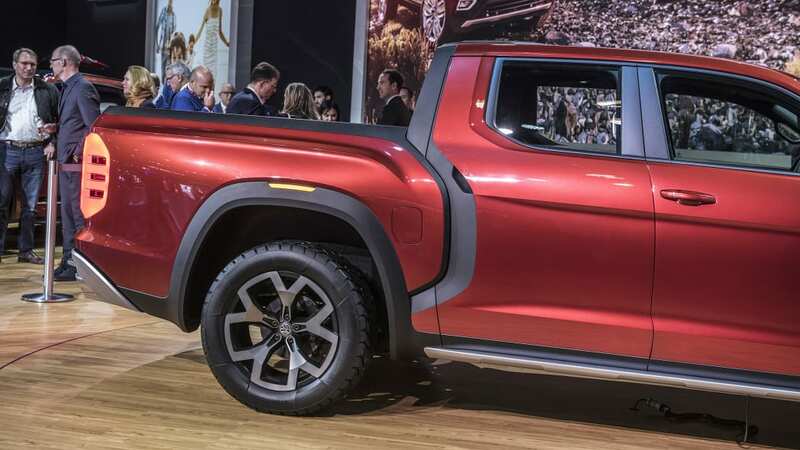 It has skid plates, tow hooks and a winch, too. 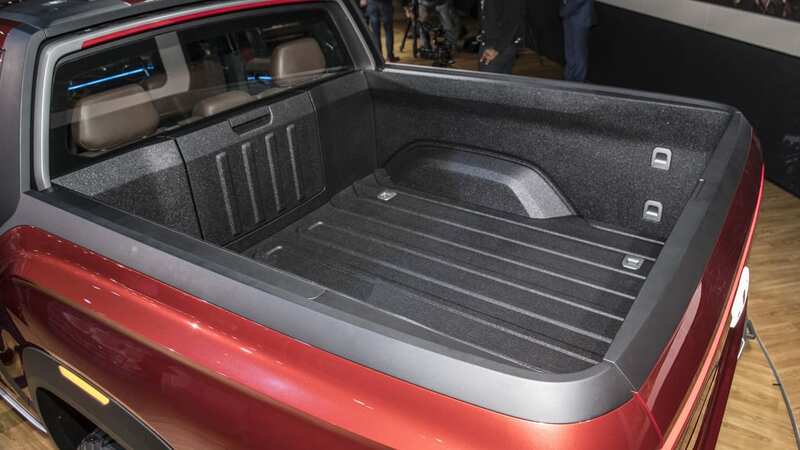 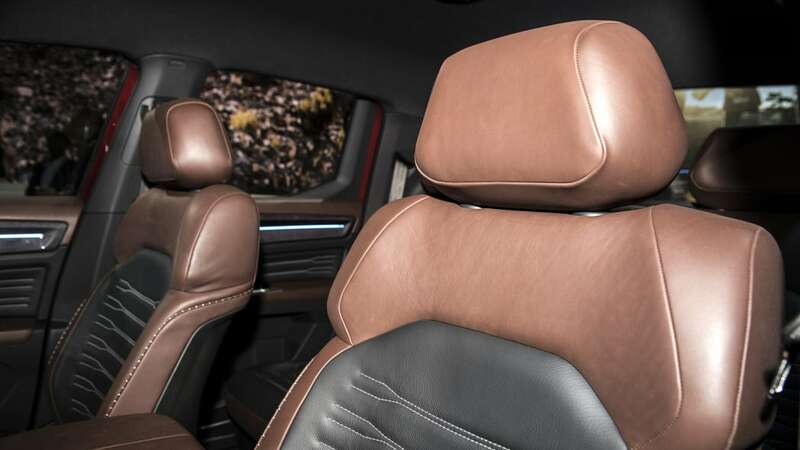 The bed also gets a sliding rail for carrying items over the roof similar to the Ram Macho Power Wagon concept and the Mopar accessory rack system for the new Ram 1500. 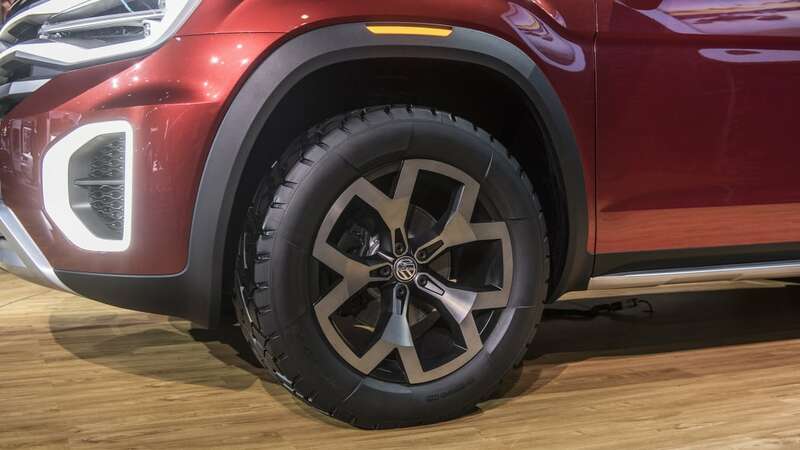 The Tanoak has plenty of ground clearance too at a total of 10 inches. 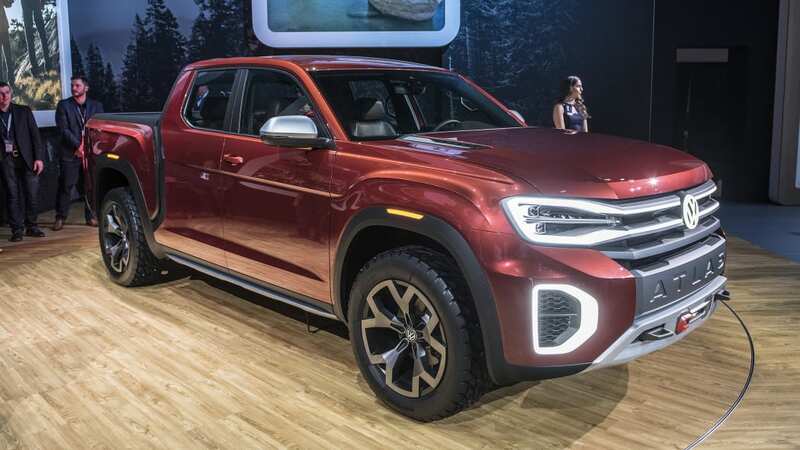 Powering the truck is the same 276-horsepower narrow-angle VR6 engine that also makes 266 pound-feet of torque. 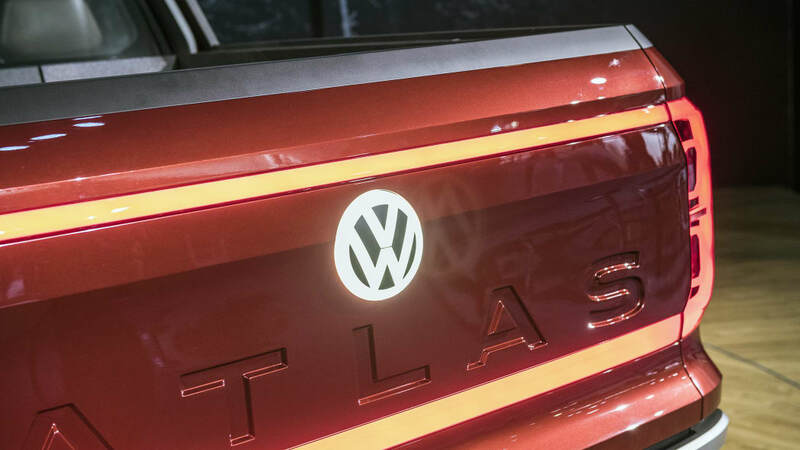 Power goes to all four wheels, and Volkswagen says it should be able to hit 60 mph in 8.5 seconds. 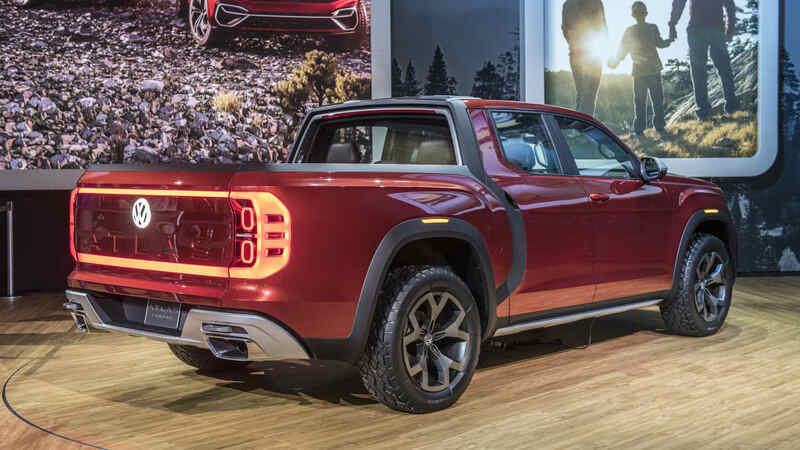 Off the pavement, the Tanoak takes advantage of two unique additions. 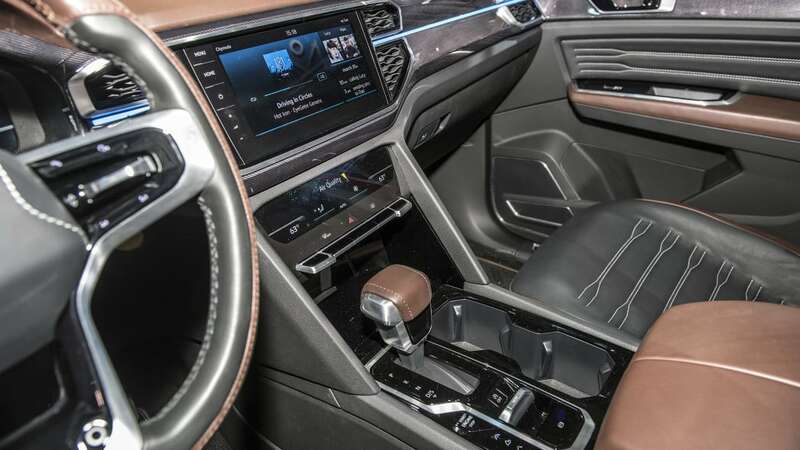 There's a variety of settings for different types of terrain, and when things get really tough, there's a low-range setting for the transmission.